Chiming. In Swedish, it’s klingande, and when you first hear the music of the French DJ with the Swedish house fixation, it makes perfect sense as a moniker. 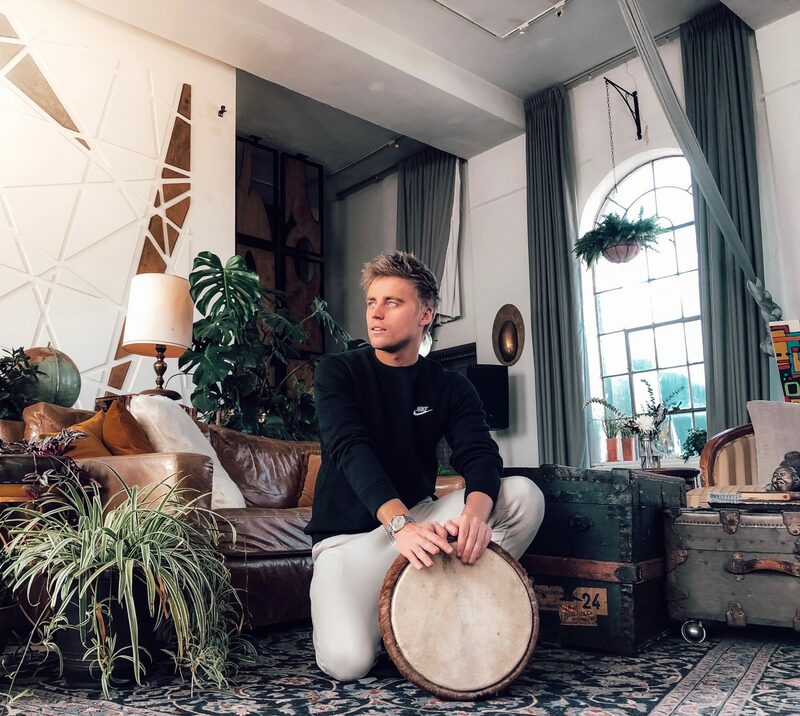 For instance, Klingande’s international number one ‘Jubel’ is just seconds old when the high piano notes chime in, followed by a bubbling guitar riff and then actual chimes. Even the vocals seem to ring out like a bell. It’s a joyous, optimistic sound. This theme continues through most of his music, a blissful ease that sits apart from your average pumped up floor-filler. 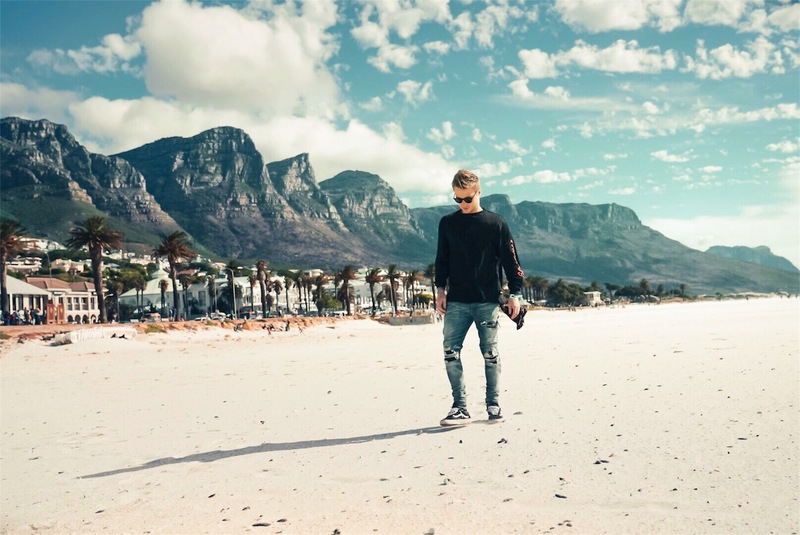 Born Cédric Steinmyller in Croix, not far from Lille in northern France, Klingande’s music betrays a youthful effervescence which, along with his youthful appearance, makes you wonder if the 26-year-old ever gets asked for ID at his own shows. His is a mission of positivity, bringing emotion and melody to his own accessible brand of tropical house. He’s had top five hits in the UK, Sweden and France and number ones in Switzerland, Belgium, Germany, Belgium and Austria. Steinmyller used some of his rare summer downtime to talk music, style and how to get into EDM. I’ve read previous interviews where you talk about being inspired initially by Swedish DJs. What was it about the Swedish scene that attracted you to it? It was the music they proposed. It was electronic but with strong melodies, emotions, and that’s what I liked and what I try to do in my music. My goal is always to make the listener feel something. What was the best advice you got when you were starting out? I think it was to stick to what I want to do and not be too influenced by others. Even if artistically you’re always influenced by everything around you, I just tried to not be like everyone else and to take risks with the instruments I brought into my songs. Another piece of advice was to take care of my entourage. I have had the same manager since day one, and I think it’s very important for the stability. What music excites you at the moment? Do you tend to listen to EDM when you’re not DJing or do you need a change of scene? I listen to everything, and of course sometimes EDM (which is pretty wide from my point of view). I’m excited to see the diversity that digital distribution creates, everyone can put their music out, and there is so much to discover. I’m also curious to see what’s next, what will come out in our scene. Yes, it is. Since May, it’s been about two or three days off per week, everything else on the road, flying, in trains or in cars. Going everywhere in Germany, Belgium, the UK, Spain, Italy, Croatia, France, Norway, and of course the USA. July was really heavy, with a lot of shows, but that’s all the festivals and we had a lot of fun! What’s the track you currently turn to when you need to take things up a level? I always turn to Flume’s remix of You & Me from Disclosure. It’s a classic for me now, my favorite song, I end my show with it very often as well. What tracks would you recommend to a newbie? If someone says they don’t like EDM or house, is there a particular song you’d play them to change their mind? I’d recommend having a listen to Kygo, Bakermat, Robin Schulz. All these artists are more than EDM, we are at a crossover between pop and EDM, and I think it’s really accessible. They can also start with my first hit ‘Jubel’. A lot of people who don’t know about EDM love this vibe. Do you encounter a lot of misconceptions about EDM and house? Of course, EDM means everything and nothing. A lot of people use EDM to talk about a lot of different artists with different kinds of music from deep house to big room artists. Literally if we speak about electronic dance music, this can mean a lot. And house music is electronic music, made to dance, so it can be misunderstood. Does your inspiration tend to come from within EDM or are you more about blending in other genres? I’m blending in a lot of things, mostly pop music. In the songs I’m working on at the moment, I’m coming back to my roots with pop folk influences. When I was young that’s what I listened to and what made the roots of my musical culture. You’ll feel it in my next songs. Do you have any particular place where you go for inspiration? It’ll sound easy, but the place where I get most inspiration is when I’m next to the sea. That’s why I’ve booked a studio with a sea view in Ibiza in September to work on my next songs and first album. How do you recharge and relax after late nights while touring? Every time I can I go to the gym. I try to stay in hotels with gyms only for this reason. This is the best way for me to keep my head clear, my body in good shape, and stay sharp. How important is a DJ’s look? Do you feel a pressure to keep up with fashion? Today it’s really important. With social media, especially Instagram, it’s very important to keep up with fashion. Of course I can wear what I like, and I like nice things and fashion. But in general, with all pics, videos, content we have to share with our audience, we need to have a look, an identity, and for some DJs and artists it’s a very strong part of their personality.